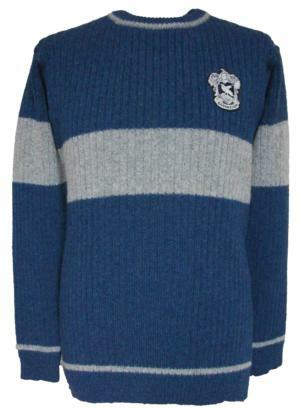 Purchase your very own piece of "Harry Potter"
Warner Bros. Ravenclaw Quidditch Sweater. actors in the Harry Potter film series. Sweater with Ravenclaw House embroidery. before our Ravenclaw Quidditch Sweater will be a perfect colour match.